UPDATE: I still think this is a nice option for authors who have a small mailing list. However, I will caution you that if you're actively building your mailing list – which you should be if you want to make money from writing books – you will quickly outgrow this plugin AND your website will probably be unable to handle the workload. I had only 4000 people on my mailing list and sending out a broadcast message took 13 hours to perform. Not very efficient. My current recommendation (as of 9/21/16) is MailChimp. But I'm outgrowing them, too, due to a rather complex Reader Club drip campaign I run. However, I'm keeping this evaluation on my site for those who have a mailing list smaller than 2000 subscribers. Well, my migration over to my website is complete! What a nightmare that was! However, it certainly wasn't because of the new newsletter plugin I installed. It was because it took me a lot of time to find a plugin that would do what I needed AND because of the other plugins that DIDN'T do the job…I was trying to fit my website to match their ridiculous structure. As I said…nightmare. Part of the mess was the data I was trying to clean up, but if I had found MyMail Newsletter plugin before I messed with these other plugins, I wouldn't have had so much trouble!! I'm hoping that by sharing this review, you will save some time, too. NOTE: I have a WordPress website that I host on a shared server with Pair.com hosting services. I have been using Pair since 2002 and they are, by far, THE BEST hosting service I have had the pleasure to work with. Their servers are hardly EVER down. I think in the 13 years I've been using them, my website has been down…twice? At least due to their server issues versus the times my site was down because of something I did. And when I did mess up, they were there to help. They have THE BEST customer service in the business. With all that being said, the information below won't apply to you if you use a WordPress.com public blog. You have to have WordPress the site application/platform installed on your own shared server to be able to use this information. 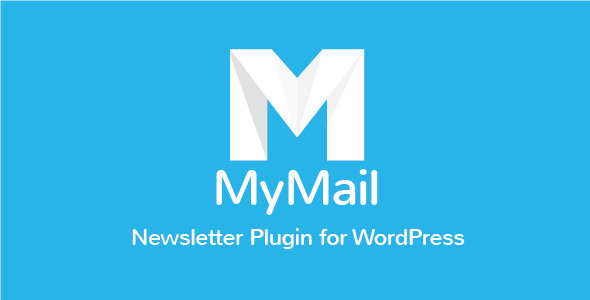 MyMail Newsletter – DA BOMB!!! Buy their product HERE and I would HIGHLY recommend spending the small fee to get the plugin. It is SOOOOO worth it!! Why do I like this plugin? Ease of Importing an Existing Mailing List – MANY of the mailing list (ML) or newsletter plugins will claim they can import your existing ML from all the well-known ML services (e.g., MailChimp, Aweber, ConstantContact, etc.). But what they DON'T do is allow you to match up the “subscribed” date with the registered date for your website. This is important if you already have autoresponders set up with your current ML service and you don't want to have your subscribers get all those earlier welcome messages (see my article on Creating a Plan for autoresponders in my Mailing List series). MyMail Newsletter lets you map fields from your spreadsheet to your subscriber list and it's a BREEZE! Lists & Statistics – Most ML plugins do give you stats, but I really liked the way this plugin display the stats and how you can break it down. Not only do I know how many of my subscribers are on mobile vs. desktops, but it even breaks it down to WHAT devices they're using (e.g., the version of iPad or iPhone, the version of Android, even the version of Windows and Mac OS), as well who is clicking on what, how many unique clicks, etc. Just like the ML services, I can create multiple lists (e.g., VIP Club, Street Team, Review Team, New Releases ONLY), which allows me to send them different messages. 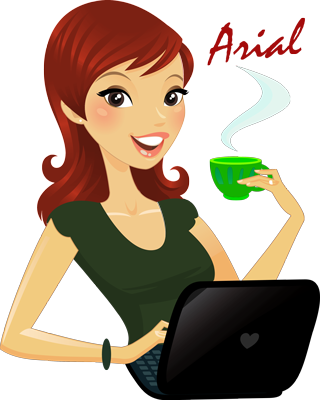 Autoresponders – If you've read my Mailing List series, then you know I love to create autoresponders to give people freebies as they reach membership milestones (e.g., Welcome, 1 week, 2 week, 3 week, 1 month, 2 months, etc.). This plugin will not only allow me to create such automatic e-mails triggered by the registration date, but it will also allow me to set up other conditions, such as ONLY send this e-mail out to those people who have subscribed on X-date and later/more recent. This way, those people on my list who have been long-time members won't get the same e-mails again. THIS was hard to find in other plugins. Very Responsive Support Team – THIS IS SUPER IMPORTANT. A lot of plugin creators don't offer continuing support.MailPoet also has a good support structure, so if you do go with a different ML plugin, MailPoet is the only other one I would recommend because of this. But the team at MyMail are not only very responsive, but they're pretty fast about responding.